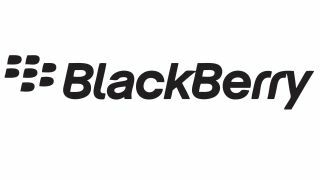 RIM revealed its fiscal year 2013, second quarter financial results to investors Thursday, outlining where the makers of BlackBerry-branded products stand on the monetary map. The quarter covers the past three months ending on Sept. 21. BlackBerry, while in the midst of a turnaround and transition to the BlackBerry 10 operating system, didn't perform to the level it wanted. "Our second quarter results are well below where they need to be," said Thorsten Heins, RIM's CEO. The company reported a net loss of $235 million (UK £144, AU$225), including $126 million (UK £77.6, AU $120) in pre-tax restructuring costs, for an adjusted net loss of $142 million (UK £87.4, AU $136). RIM's cash, cash equivalents, short-term, and long-term investments did increase from approximately $100 million (UK £61.6, AU $959) to $2.3 billion (UK £141, AU $2.2) at the end of the second quarter, while the company shipped 7.4 million handsets in that time. Many of those devices were operating BlackBerry 7 such as the BlackBerry Curve 9320, the company reported. Revenue grew 2 percent, up to $2.9 billion (UK £1.78, AU $2.78) from $2.8 billion (UK £1.72, AU $2.68) the previous quarter. However, that figure is down 31 percent from $4.2 billion (UK £2.58, AU $4.03) the same quarter last fiscal year. Shipments of BlackBerry Playbook tablets were approximately 130,000, while subscribers to BlackBerry stand at 80 million. The company reiterated its commitment to remain fiscally lean and strong as it transitions to a new operating system and undergoes a restructuring initiative to make its operations more efficient. To that end, RIM said it experienced a sequential decrease of $54 million (UK£33.2, AU$51.8) in operating costs. RIM's numbers weren't terrible, yet the company cautioned investors that the outlook for moving forward isn't immediately positive. "We expect the following quarters to be very challenging," RIM representatives said. Heins rested much of his reasoning for why investors should remain hopeful on BB10, which he said is receiving a positive response internationally. "It's a new platform, not just a new product," Heins said. "For sure we'll see additional products in the next calendar year. We'll create a very competitive portfolio." The OS remains on track to launch in the first quarter of next year, Heins assured. The company reiterated its commitment to supporting BlackBerry 7, especially as the holiday season approaches. "We are focused on staying relevant with BlackBerry 7," Heins said. Despite its positive outlook, RIM does expect to report an operating loss next quarter.